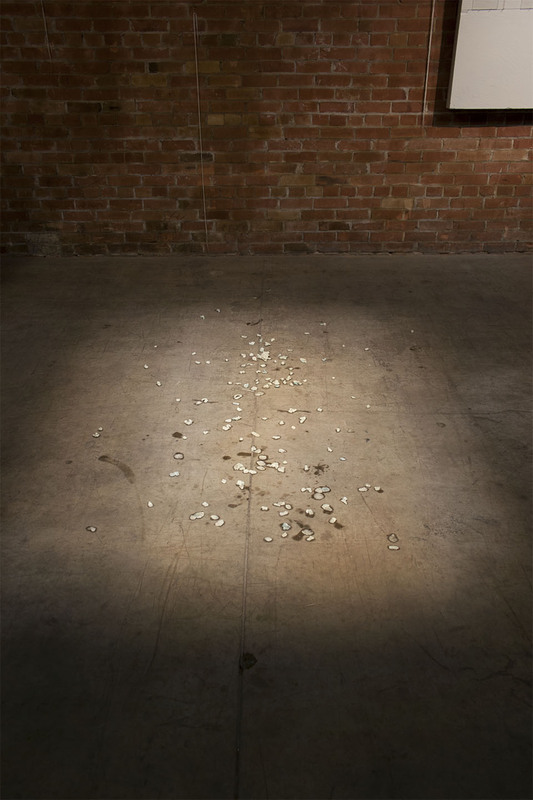 As a collaborative project, Self Portraits, is a series of over 600 pieces chewed gum saved after their use. What is most interesting about chewing gum, is its lack of importance, lack of nutrients, and pointlessness of chewing. For this very reason chewing gum is something that does not provide the body any nutritional benefits except the possibility of cleaning the teeth and getting rid bad breath. In many ways. Self Portraits points to ways that many animals eat due to human intervention, like that of a trough, bird feeder, a buffet. It also acts as the exposed underside of many chairs, seats and benches that we leave our chewed remnants. In this way, a pieces of gum could be considered a self portrait; it is record of the inside of the mouth, a physical mark of the body.